Following sexual harassment allegations levelled against him, Harvey Weinstein has now been expelled from the Academy of Motion Picture Arts and Sciences board. The decision was made on Saturday, October 14, after the board members voted to have the filmmaker stripped of his membership. The Academy revealed in a statement that the action which takes effect immediately was intended "not simply to separate ourselves from someone who does not merit the respect of his colleagues but also to send a message that the era of willful ignorance and shameful complicity in sexually predatory behavior and workplace harassment in our industry is over." According to earlier reports, Weinstein has had his membership suspended in BAFTA, the British version of the Oscars, and faces separate action from the Producers Guild of America. The academy's decision which was voted on by 54 of its board members in a special meeting is part of a larger attempt by the American movie industry to remove Weinstein from the film business. According to the reports, Academy members have always been disciplined for violating rules but there are no laws against outsing a member in the face of a scandal such as this. 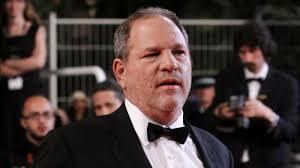 In an interview with the Hollywood Reporter, Weinstein's brother Bob, CEO of the Weinstein Co., said that Harvey "definitely should be kicked out" of the academy for his alleged actions. You would recall that the sexual harassment and assault allegations went public nine days ago and has all but ruined Weinstein's career and life.